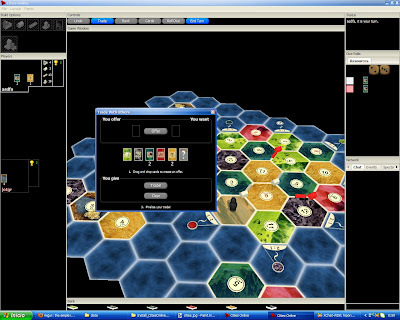 Settlers of Catan is a popular board game. In today's terms it can be described as very 'social' thanks to its trade mechanic, which can lead to exploitation, corruption, deception... all that fun stuff. 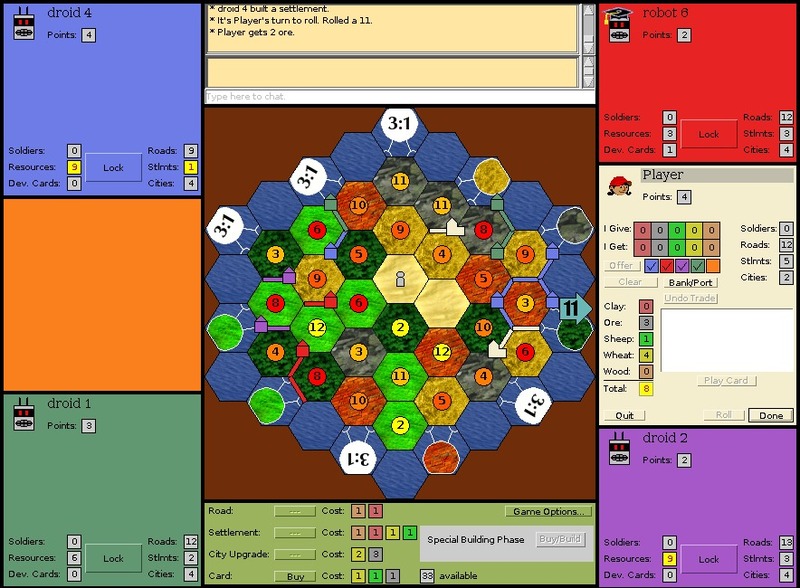 There are a few open source implementations of the game rules, some of which I mentioned years ago and with two of them being updated recently, I decided to revisit them. Thanks for hiponboy's (of SumWars fame) help at testing games and collecting data! Game Platform Activity © Infringement ™ Infringement Compilable? In the table I pointed out copyright and trademark infringement, which according to this article created problems for SoC clones in the past. I encourage project maintainers to check whether all assets are openly licensed, credited and legal and distance themselves from the Settlers of Catan trademark to avoid confusion. 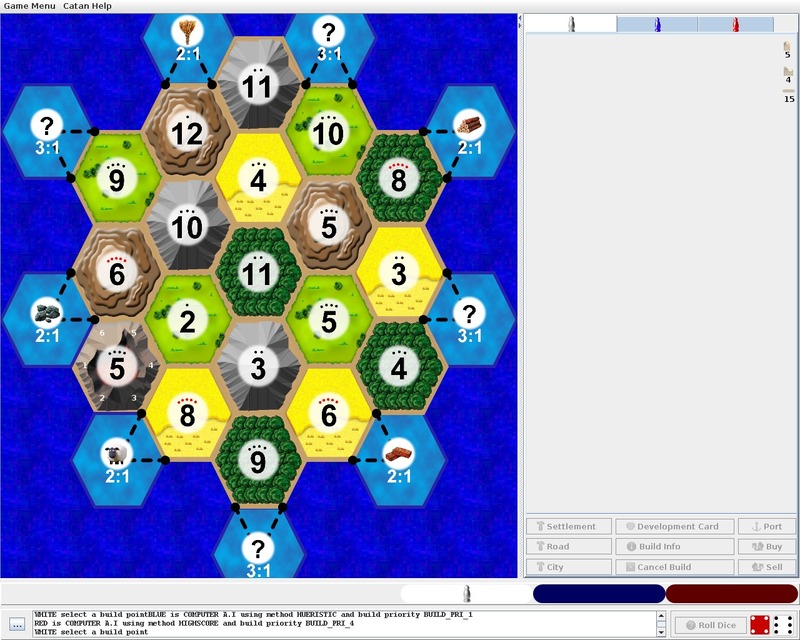 Pioneers is feature-loaded and is configurable in content (maps), look (theme) and gameplay (rules). 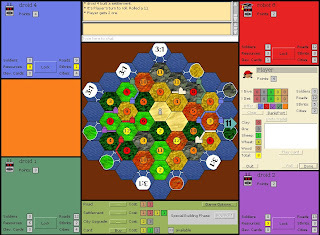 JSettlers2 nice to play with complex trade, although offers can be confusing and widgets can't be resized individually. 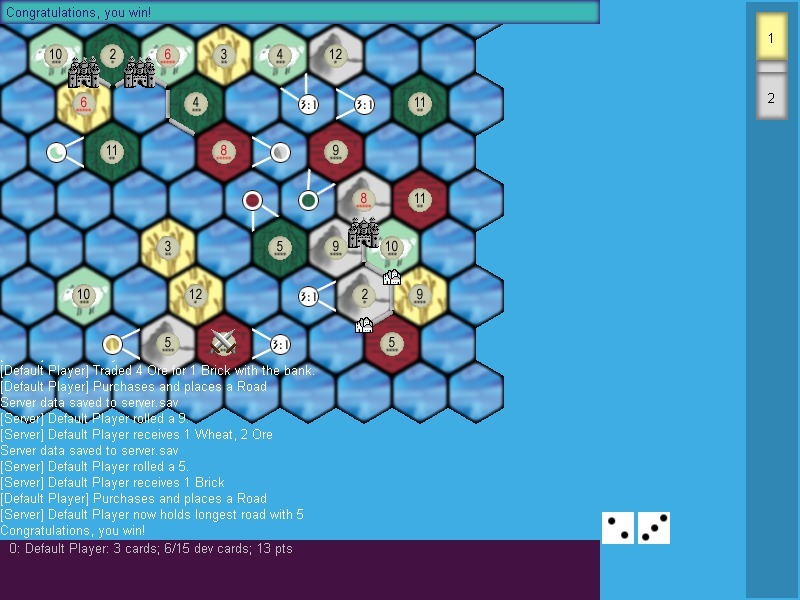 Another drawback is the apparently forced slowness of the AI. On the other hand the AI sometimes offers trade, which makes it stand out from the trade-passive AI of the other games. My suggestion for a hopefully non-infringing name change: "Builders of Javatan"
By the way, I was inspired to create a little tile set for JSettlers2. 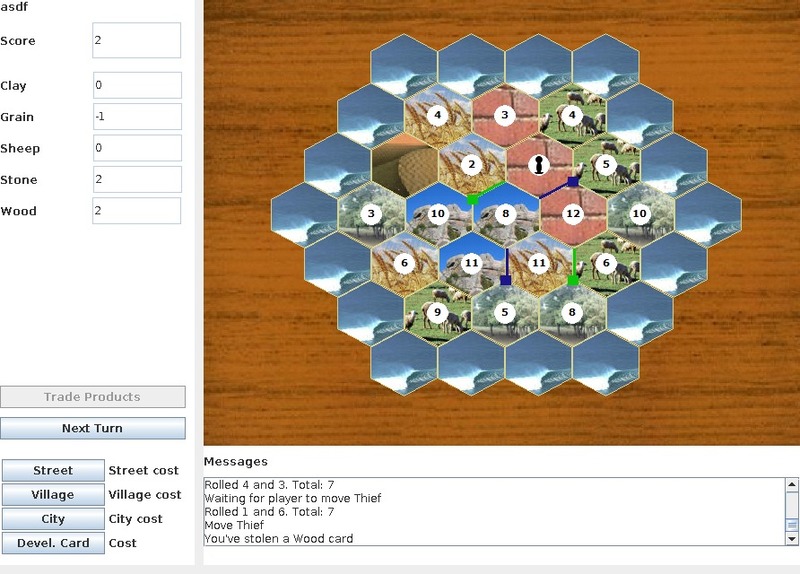 Cities3D looks great and feels great but needs a developer/maintainer. Unfortunately FMOD is used for sound, which renders the game non-free. 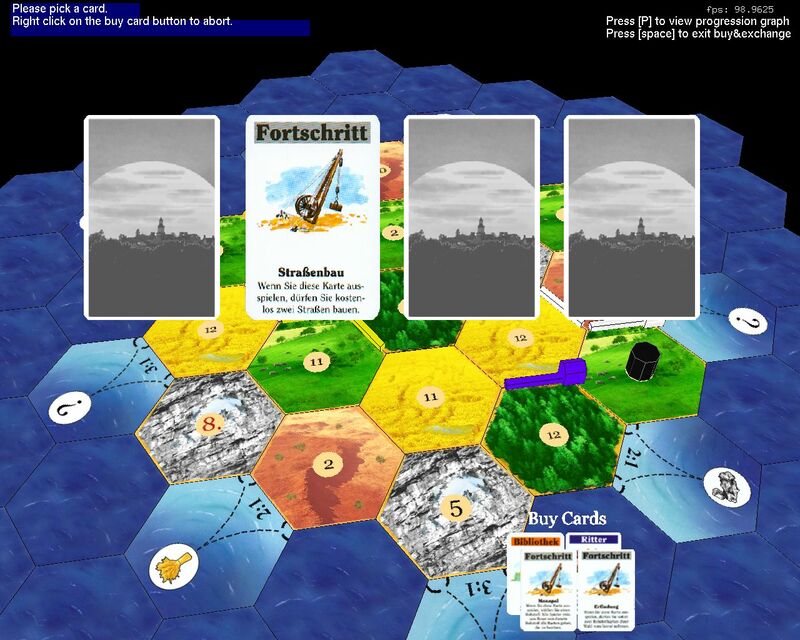 Solitaire Settlers of Catan has a nice look and a clear trade interface (although unfortunately only simple trade is possible). jCatano has a non-intuitive interface and is a bit of a pain to play with for example no resource icons and impossible action buttons not being grayed out. As long as source code is missing, GL Catan can be considered proprietary software. Features: Javasettlers is a techdemo of board rendering and building placement. 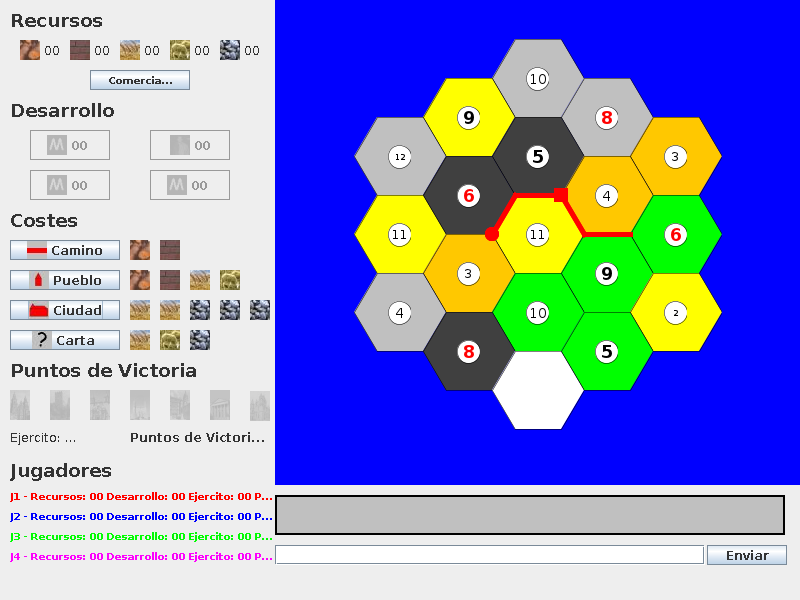 Nettlers' advantage is its shortcut-driven interface and minimal UI. Note about features: "complex trade" means that "I will trade 2 wool and 1 wood against 1 iron" is possible with other players, "simple trade" means only "1 resource for 1" resource trade is possible. BREAKING NEWS: Doom3 source code released!